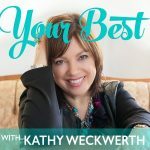 I was recently interviewed on Your Best with Kathy Weckwerth. On Kathy’s radio show we discussed her family’s purchase of a historic resort cabin, my books, and how Minnesota’s resorts are changing from the early era of smaller resorts with rustic cabins. The interview can be listened to anytime on SoundCloud at the below podcast link–just click on the orange “play” circle in the upper left corner (much like a YouTube video). My portion of her show begins 5 minutes in, and ends near the 23 minute mark. You can replay or jump to any moment of the broadcast by clicking on the progress bar along the bottom, which shows the time in the lower left corner. This entry was posted in All blog entries, EDGE OF ITASCA stories, Minnesota Resorts, Minnesota Tourism, Readers' Stories. Bookmark the permalink.